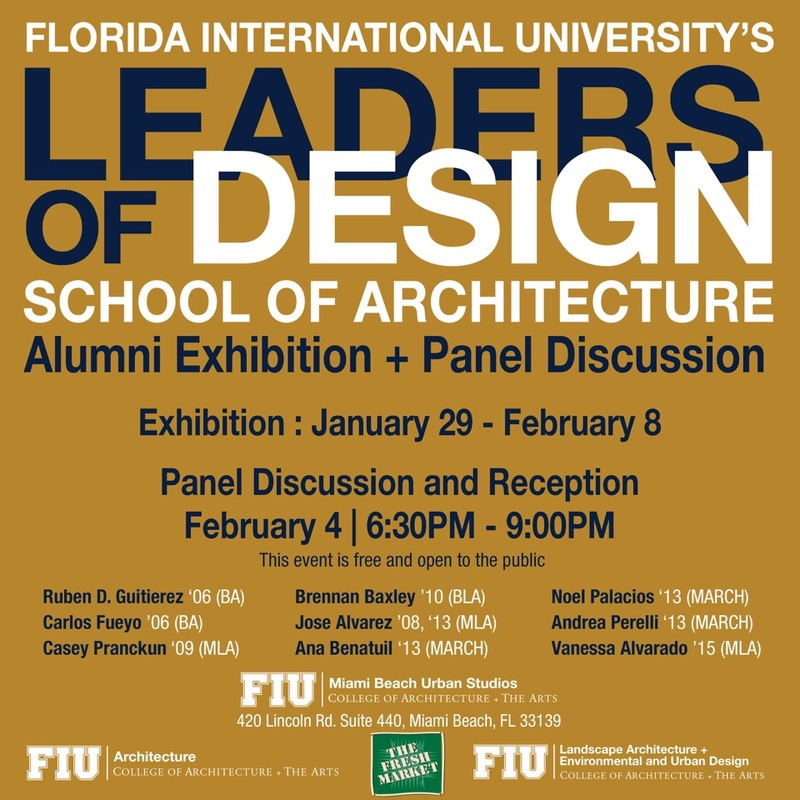 Roberto will be moderating the Leaders of Design panel as part of FIU’s Panther Alumni Week on Thursday, 04FEB2016 at Miami Beach Urban Studios (6:30-9pm). Panel members this year are: Ruben D. Guitierez, Brennan Baxley, Noel Palacios, Carlos Fueyo, Jose Alvarez, Andrea Perelli, Casey Pranckun, Ana Benatuil, and Vanessa Alvarado. The MBUS Design Gallery will feature the work of the panelists and the talk will be followed by a reception. Panther Alumni Week (PAW) 2016 is FIU’s third annual alumni week of service during which alumni are invited to return as guest speakers to inspire our students and share career advice. PAW exists to enhance the respect, trust and impact of FIU locally, nationally and globally. Guest speakers will have the chance to visit our vibrant campuses, experience today’s FIU and reinvigorate their Panther spirit.